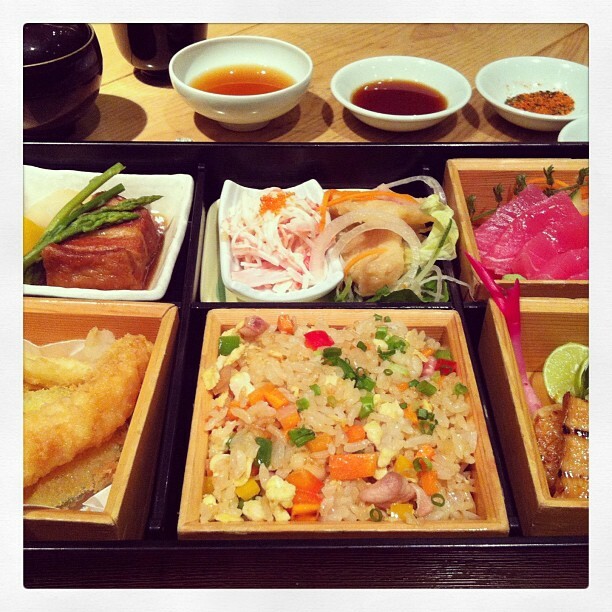 The Bento Box Decided to try the Japanese restaurant in the hotel. Wasn't sure what to have so went for the Bento box. My word, this thing is huge and incredibly tasty.